In some areas, detached home prices may have fallen as much as 30 per cent. 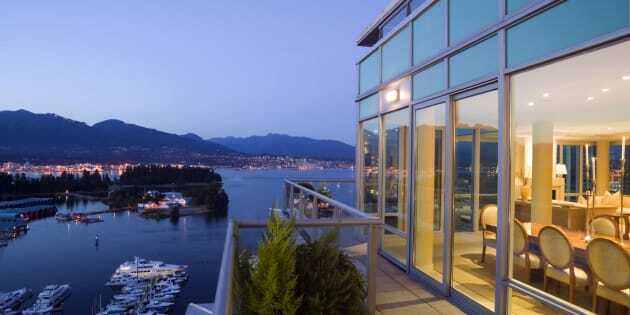 A penthouse apartment overlooking Coal Harbour in downtown Vancouver. Home sales in Vancouver were down more than 36 per cent in August, and the data suggests more weakness is ahead. Not long ago, it would have been hard to imagine a time when Vancouver's real estate market was so quiet you could hear the crickets chirp. Yet here we are. There's no papering over the latest bad news from the region's real estate board: Sales in August were down 36.6 per cent from the same month a year earlier, the region's real estate board reported Wednesday, and prices are now falling in all housing categories. "Buyers today have more listings to choose from and face less competition than we've seen in our market in recent years," said Phil Moore, president of the Real Estate Board of Greater Vancouver, in a statement. "With fewer buyers active in the market, benchmark prices across all three housing categories have declined for two consecutive months across the region," he added. But so far, the real estate board's numbers show price declines have been mild. The benchmark cost of a detached home in Greater Vancouver sat at $1.561 million in August, down 3.1 per cent from a year earlier. Thanks to strength earlier this year, condo prices are still higher than a year ago, up 10.3 per cent in a year to $695,500 in August. But prices have now turned negative, and are down 1.6 per cent since May. But some real estate insiders in B.C. say there are segments of the market where things are considerably worse than the real estate board's data suggest. Realtor Ian Watt used independent figures from data-mining company SnapStats to determine that detached homes on Vancouver's pricey west side have fallen by 26 per cent in the past year, to a median of $2.8 million, from $3.8 million a year ago. In West Vancouver, detached house prices are down 30 per cent over the past year, to $2.5 million from a median of $3.6 million. The seeming collapse in house prices at the top end of the market could be the "canary in the coal mine" warning of a broader correction, realtor Stuart Bonner told the Vancouver Sun earlier this month. "Vancouver will never be affordable, but it will drop 25 per cent or more," the Sun quoted Watt as saying. Price trends in Vancouver are really starting to turn nasty, particularly in the high end. Seeing some listings selling for less than previous sale price 3 yrs ago. Things are likely to get worse before they get any better. A key measure of the health of a housing market — the sales-to-active-listings ratio — indicates that Vancouver's detached home market is now a "buyer's market," with fewer than 10 sales for every 100 active listings. The townhouse and condo segments are headed there as well. There were fewer than 27 condo sales for every 100 condos listed in August, down from around 57 sales per 100 active listings at the start of the year. That represents a rapid slowdown in the condo market. Despite the declines in house prices, Vancouver's market is not getting any more affordable, data from National Bank of Canada shows. The bank's latest affordability report found no change to the relative cost of homeownership in Vancouver in the second quarter of this year. Lower house prices were offset by higher mortgages rates. The city's dubious distinction as the least affordable housing market in North America is likely secure for the moment. For Canada as a whole, the cost of homeownership rose by 0.2 per cent in the second quarter, relative to earnings, led by a 1.8-per-cent jump in costs in Victoria and a 0.8-per-cent jump in Quebec City.